2P START! Live! : Controversial Edition | 2P START! Ray and Tim discuss the polarized reactions to the comic, the worst Wii peripheral ever, and two ironic e-mails that remind Ray of his deep moment involving a spider on a book. Hey Tim and Ray! I’ve read all of your comics, so I think it’s time for me to rise from my grave! I agree that it was a success, I was confused about the Dragon/Dinosaur thing and the original last panel, as it didn’t make sense with the upcoming Galaxy 2 fixing that ‘problem’. After that was put aside, it was a good comic. 1) You’d better have been talking about Pixel Vision! 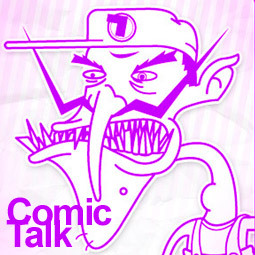 2) I’m sure I can recognise the music for Comic Talk 1 (Waluigi’s Origin Story), but I can’t put my finger on it. 3) 2P START! WILL NEVER END! Think of the backlash! 5) Here’s one rap you liked. The Waluigi origin story music is from “Wario Land: Shake It!”. Just a reminder of a Musical Misfit I suggested last month. I’d like to try and suggest it again. It’s the Speedway Music from Spyro: Year of the Dragon. One of my favourite PSone games, and one of the few games I’ve managed to complete 100%. Umm… Isn’t that the game that can be 117% complete? And Castlevania: Symphony of the Night can be 215.3% completed. Seriously (though they’re nice enough to allow the sound test mode to be unlocked at 190% =P ). Oh, you can get a larger percentage than that. You just need to take advantage of the right glitches. What about Gran Turismo 2? Anyone remember that glitch that made it absolutely impossible to achieve 100%? And how cars disappeared, which furthered the problem? It’s amazing what all the little things can do to Ray… I also wanna see Ray the Squirrel! I’m sure no 2P START! fans are graphic artists. Also for Musical Misfits, I’d like to suggest Out in the West from Tin Star (if this is the place to do it). This Controversial Edition’s Off Topic is pretty deep. It’s not as funny as the other podcasts, so I won’t be re-listening to this podcast thrice a day, maybe just twice. I’ve also had thought over the same point Ray posed (Spider analogy) and appreciate knowing his view. I think the new comic is funnier, but I really prefer the original comic. You two shouldn’t have to change anything in a published comic because it’s impossible to please everyone’s demands and make each comic better then the last. Finally, I would enjoy to see other stuff besides comics, if you two want to work on something else for a change, or maybe take a break for a short while, a week or two? Controversial indeed, but entertaining regardless. Several points I like to comment on, but I’ll try to keep it short. No promises, sorry. 1. If you want to work on a side project and temporarily put aside 2P START!, you can do so. But if you want to keep the whole site going, you could post updates on your projects and ask for feedback. It might keep people coming back, especially if you’ve got some great stuff! 2. Which mall did you go to Tim? If it is the one I’m thinking of, then I know exactly what the program was. When I was a kid, though, I don’t recall there being any music during the program. If there was music, it probably would have been Radio Disney styled music. All squeaky clean and fine and dandy. 3. Is that your life guard book Ray? It looks like the spider is catching up on how to use Windows Firewall… and if it did bite you, were you off the wall? Heh heh… Ah, livin’ off the wall. 4. While I don’t mean to complain or sound negative, but this was the first musical misfits that I skipped over. I’m just surprised, that’s all. And in the immortal words of Fozzy Bear – “Cheap 3D effects? Why didn’t you say so?! !” Here’s to 2P START! in 3-D! also in 2-D! at select theaters for a limited engagement. Yes it is all capitalized and forgive me, but yes that is the name of the mix. It’s kind of a cool 8-bit inspired remix of the original song from We Love Katamari, using classic Namco sounds. Pretty good misfit, shame I haven’t got that far, I’m stuck on the Underwater stage. Stupid Fish hooks! Thanks Tim and Ray, you touched on some very important subjects with a lot of class while still producing a very entertaining and hilarious episode, exactly why I listen to these podcasts. Maybe you guys could have guest strips a bit more to take the load off of Ray a bit? In any case, thank’s guys for the free entertainment, it’s the highlight of my week regarding web browsing, and I appreciate all the time you put into it, and Ray, I appreciate the personal story involving the spider, it might not seem like a big deal to share that kind of story to some people, but I know it takes some guts. Good idea. I’ve seen other webcomics take breaks that way too. A “guest comic month” could give Ray (and maybe even Tim) a nice, long break without having to worry about breaking their streak. Good podcast. If Ray wants to work on some other projects, you could try to line up some guest artists. Maybe a guest podcaster. And then when Tim wants a break, just line up some guest writers. Eventually you two can retire from 2PStart knowing that your empire is running strong. 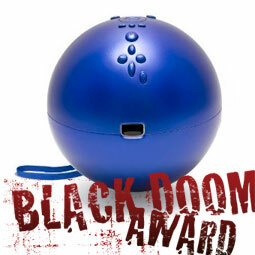 I think Tim’s black doom award is the worst I’ve heard this year. Good job finding it, and now I know what false advertising to avoid next time I go shopping. Until next time, TG out! Man, I’m glad Ray told us what game that Musical Misfit was from. I don’t think I’d have been able to figure it out otherwise. wow that song (“This is going to be a Good Book”) was awesome. i think it would be really nice if you would keep going with the comics and podcast. but i do understand if you want to stop. although i would want you to keep going with the podcast. thank you for all the great laughs. some people are just way to critical. you take time out of your busy life’s to try to make it laugh. i really appreciate you doing this. one thing that i love about 2p start is that there are not many words. i love the podcast because there are no words to read :D. that is nice. as you can tell i am not a big fan of reading. so all i am trying to say is thank you for all the greats laughs, and keep up the great comics, and podcasts. WORST PODCAST EVER HOW COULD YOU CALL IT A SUCCESS. Yoshi played dead and DESTROYED 2P Start! It’s all over now. I can’t live in a world where Yoshi comics like this are allowed to exist. I won’t let my friends be exposed to this kind of horrific “internet sacrilege”. I seem to be unable to stay completely consistent even if my life depended on it. I’m really digging the remix for this edition, so I’m going to go add that to my Youtube favorites as soon as I finish listening to the podcast. Nice podcast, guys. I had fun. Breaks can be healthy for creativity. I don’t want to actually kill 2PStart. Let’s go back to that drowning metaphor you had mentioned a long while ago. You come up to the surface, take a breath, and find yourself back in before you know it. Using that time up with the air to calm the mind and plan out a way out is a great idea. But only if you can get that breath in time before you’re yanked back under. Otherwise, it’s over. The plan was for naught. Don’t drawn! We need you, Guys! I like what both you guys do, though. But if Tim isn’t going to be offering anything up while Ray works on something else… I don’t know. It’ll just be really different. But whatever Ray does will probably be pretty interesting to me. Your spider metaphor is excellent, Ray. Very clever, and very true. The things that we’ve learnt to perceive up until this point are not all there is out there, obviously. I’m sure people thought they had it all figured out 200 years ago, too. Yet that was before quantum mechanics was even a concept. There’s plenty more for the human race to discover. Because the spider has no way of knowing that the ground he was walking on was an instruction book for people. Even if the spider cared, its imagination could go wild with explanations of what the black patterns on his path were, and why they were there. Humanity would be one of the many possible explanations. And even if the spider somehow had it right, and thought that he was walking on a book used by people, he’d have no way of confirming his theory. He’s just a spider. Just like I’m only a human. My brain can’t comprehend the secrets of the universe. Especially not with the primitive measuring tools we’ve developed so far. So why would I even pretend to know, and commit to only a single one of the infinite possible explanations of our existence today? I suppose the Bible is believable, in that it can’t be disproved, but it’s made some strange statements clashing with scientific data (the Earth’s age, evolution), and makes me wonder why God’s no longer preforming any of the awesome miracle stuff he did back in the day. Scientific theories can be put to the test, but I can only take the Bible’s word for its theories. God in fact states that he does not want to be put to the test. That may be enough for some people, but I need something more conclusive. Something that I can fact-check. Because without confirmable evidence, I’m only a spider whose mind runs wild with what could be out there. I don’t want to get too much into a debate since they usually spiral into petty arguments, but in regards to why God doesn’t perform as many huge miracles as he did back then, one possible reason I’ve heard is related to Him showing Himself to people. By that I mean that back then, they didn’t have the Bible nicely written down and available for them, so God used miracles to show His power right in front of them. Now, though, He doesn’t need to, because we have the Bible as written evidence of those same miracles, and that is our “proof”, as you will. Of course, then it comes down to whether or not you believe the Bible is true or not, but in the same way, people in those times had to decide whether or not to believe in God’s miracles. I’m not sure if that IS the reason, because I’m no Biblical scholar and I’m not going to pretend to know how God works, but it’s one possibility. I know what you mean. 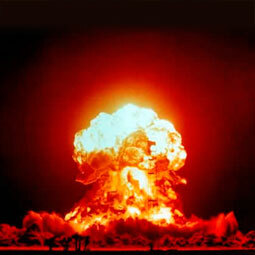 Religious debates on the internet almost always turn ugly fast. I have faith in the 2P Start community, though. We’ve kept things very civilized so far. Not a bad theory, by the way. Hm… this podcast really was controversial. The spider analogy really got me thinking, good job Ray. However, I don’t think that religion should be discussed on 2PSTART! Actual podcast reaction though, I do feel sympathy for you Ray. I REALLY HOPE 2PSTART DOESN’T DIE! Nice analogy with the spider, Ray; one of these days you’ll have a spot in a pocket-sized philosophical quotes book, right next to Socrates. Seriously, I really might just reflect on that tonight before bed. Regarding your thoughts of taking a break, have you considered maybe taking and posting weekly fan-submitted comics during your leave? (Borrowed the idea from another webcomic that’d been doing that for the past month.) Just a thought. Was there a Suggestion Box segment this week, or did I miss it? A break? How can you do this to us Ray? How can you do this to me? Don’t make me sing a teary rendition of Don’t Speak, because you know I will! Unless of course, your latest album is one of the “other projects”, in which case, all is forgiven. 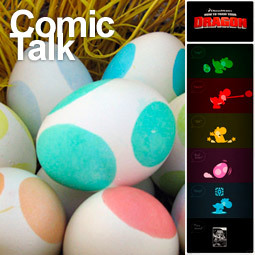 I feel bad listening to this podcast and hearing that you guys think we didn’t like your comic. The BitF one was great. As I said, Epic flame graphics. The Dragon comic for me got a lot funnier after the Tim’s take because I now could picture Mario as the person training Yoshi and saying all those commands. I think it got harsh reviews because the original ending panel just broke from the silhouetted Yoshi and just was a drastic contrast to the others. The more I look at this comic, especially with the new ending panel, the more I love it. The wallpapers with this look amazing. They’re the first wallpapers from 2pstart I’ve actually used. I agree this was a success. My thinking is that commenters can either comment and say, ‘Good Comic as Usual and great artwork’ and leave it at that, but that’s boring so I think many of them find something to critique just to have something to comment about. Perhaps the critique isn’t done in a very constructive way and that’s our fault. I for one mentioned that I didn’t see Yoshi as a dragon. Not meaning it’s dumb to use him in this joke, just trying to have something interesting to post. We love you! I’m sorry, it was wrong of me to be so down on the comic. 1 comment would have been enough, but i must have posted at least four. I still hold firm that the original last panel was horrible, but you guys redeemed yourselves in replacing it. So i am sorry. Excellent podcast guys. Admittedly, I’ll be sad whenever the day comes that 2P START! does end, but you both have your own lives to lead and it would be selfish of us all to demand more from you than you can bear to give. We have all been fortunate enough to enjoy the humor you both provide us for free for so long (and however long it lasts), and that will never go away. Well, unless you guys decide to rip 2P START! off the internets and make fanboys everywhere cry bitter pixelated tears. – A 2P Start game would be epic, if done correctly. – Falcon Double Fault: Such an amazing line, I’m trying to bring it into my everyday life. – Doesn’t Sega already have a machine like that? – Playing bad, modern day music? With no regard for whether or not the lyrics are appropriate for children at a children’s event? Hm… sounds like another incident caused by… VIOLENT VIDEO GAMES! – Spider Ray, Spider Ray, weaving a comic every da… er… week. Man, I just can’t come up with good lyrics. – I’m only atheist because I forget the term for the people who don’t exactly believe in god, but don’t completely deny it. – New Wii controller, new way to break your t.v. with a cheap piece of plastic. – 3D is easy to do on consoles, because people have ALREADY DONE IT. Handhelds, have potential with simple 3D. And yes, if anyone, children would be more entertained by 3D effects. – My musical misfit suggestion for next week is either one of these songs, mainly the first, (the second one is there just because it’s a great final boss theme.) Both are from the same game which, as far as I know, is pretty unknown. Come to think of it, what would Ray’s life be like today if he DID have spider powers? Would his life be extremely melodramatic? Would Tim be redesigned into an almost unrecognizable version of himself? Or would it be completely unlike Spiderman 3, and instead just give Ray a catchy theme song? “SpiderRay, SpiderRay, getting calls from Charles Martinet. Look out… here comes the SpiderRay. how to use vectors? Take a look, on Thursday. Hey there, my grandma can draw better. he finishes the comic just in time. SpiderRay, SpiderRay, texture hacking SpiderRay. Tim denies him a reward. But we’ll never know, will we Ray? Thanks a lot for having a realization instead of being bitten by a spider. 1. “An announcement so big, it can’t be contained in 2 dimensions!” Lol! Awesome, Tim. 2. Hey, I thought you were accepting of criticism, Ray? Or is it the way the criticism is structured (e.g. constructive criticism, compared to “it stinks!” criticism)? 3. And I’ve said it before, but I’ll say it again. Ray, Tim, I’m really glad you keep the comic clean and mostly non-derivative (in core jokes, of course). 5. “The comic has made me an atheist.” What?! Wahaha! Wow… that was weird. (oh, and I’d suggest that the theory of evolution—not to be confused with Darwin’s “survival of the fittest” theory—is more baloney than anything that people might criticize most religions of). 7. So, as I said, Musical Misfit suggestion. I keep forgetting about the existence of this song, but it’s a really nice song! So, behold, the ending theme from ICO: You Were There. Ethereal and beautiful. 8. “We’ve been in the handheld market for quite a while.” Nothing speaks of Sony’s arrogance quite like that statement. Oh crap I accedently posted it so im tierd of the (SPOILER) all to predictable fake death scene at the end they have that in so many movies its not even dramatic and entertaining anymore (sigh). Chicken Limbo’s the one, it’s so fun. sorry for the frist comment i was very-a tired then so yeah sorry guys! I don’t know… this Podcast is definitely somewhat strange… I don’t feel like laughing when I listen to it… seems a little… philosophy. And if you keep leaving graverisers pile up like that, soon, RFYG will be the most haunted segament of the show, because numorous ghost will be surrounding you two, waiting to be solluted. And maybe one day, you can make a grave-risen edition, where you sollute grave-rising people for a full 30 minutes. Controversial indeed. Funny as always, though. Celebi can go to hell, though. I actually screamed “NO!” when Ray brought it up. Not the most normal thing to do at 11 at night. I never realized how much we did get this week. Good job guys and thanks! Please don’t end the comic. I agree that it would probably be hard to stop and restart as someone who has several half finished projects lying around. I never noticed that in the Heart Man comic. I just assumed it was similar to the Snake Man, Magma Man, etc. stages you fight in. I kinda wanna get the bowling ball just to use it for normal games and be different. It reminds me of the Dragon Quest Slime PS2 controller. Great podcast as per usual. I once got into an argument with a feminist. I told her that it was unfair that women get to wear pants, and she tried to kill me with perhaps the meanest look I have ever seen. I explained: A women can wear a skirt, or she can wear pants. No one really cares either way. However, a man can wear pants, but he cannot wear a skirt. If he did, he would be called a transvestite and everyone freaks out. From here I went into a discussion about the many double standards feminists often embrace and how those double standards weaken the moral position of the feminist movement and ultimately hurt the cause. I agree completely on the 2nd point. I have friends from college that were atheists that did not intrude on my personal beliefs, though I do know of many that felt free to express their opinions but shoot me down as soon as I tried to voice my own. I slightly disagree on your first point however. Women can wear skirts or pants because they look good in either (in my opinion). On a more serious point, men can wear kilts (which is technically the male skirt). True, it’s not something you commonly see, but it is traditional Irish/Scottish garb for men to wear. I don’t see women being able to wear skirts or pants so much as a double standard, just that society dictates a stricter dress code for men. Like you said, a man can wear a skirt and get made fun of or called a “transvestite” or whatever, but chances are if the guy is going to wear a skirt in public he doesn’t really care what people think. I think I should have been more clear. I don’t actually care about the pants/skirt thing. I only use cultural dress code standards as a launching point for discussion about double standards. I would like to officially state that kilts are awesome. The world is rife with double standards, and nearly all of them are awful. I remember when the 2002 Winter Olympics came under fire due to controversy over bribery. However, the sheer irony to this is that bribery exist practically EVERYWHERE, even in “legalized” format in the form of lobbying in politics. Oddly enough, I’m a bit less worried about double standards and more worried about sliding standards (which usually slide downhill). As Tim and Ray noted, the general public seems to have become calloused to the changes that have occurred around them. This is something I’ve been all too aware of even when I was in High School. The game industry is a good example of sliding standards, as the industry now has far more quality M-rated games compared to quality E or E10 games compared to previous years (including guesstimates from the NES and SNES era). While there’s nothing intrinsically “wrong” with having good M-rated games, it’s an awful situation for any children that want to get into video games. The worst part is most of the time it’s unnecessary and not conducive to the overall game world. Honestly, did Okami really need that much sexually suggestive material and crude humor? Really detracted from the awesomeness the rest of the game had, and could have been a great general audiences game (relatively). Isn’t it strange how different things seem from person to person? I think it depends on our position in life. I am a religious man who tends to be among atheists. I have had to defend my beliefs constantly and have been openly mocked for being irrational. On the other hand, I was once a missionary, so I know first hand how vicious the religious can be against those with differing views. I have been cussed out by Jews and told I was going to burn in hell by baptists. I have experienced hatred from both sides, so I know what your getting at. However, my own experience has been that the lack of religion is tolerated by official authorities where as religion is not. To me, the issue is epitomized in the fact that the local high school banned classic Christmas decorations in the classroom for fear of offending someone, and because one religion is banned, all others also must be banned. In the name of tolerance and objectivity, religion is removed from the classroom and religious teachings ignored, which can hardly be called a tolerant or objective stance. Ah, I see what you’re getting at now, but I still have to point my finger at religion on this one. From my perspective it seems that the Christmas decorations in your example were banned to not offend people who celebrate different holidays. Much like how some people insist you say “happy holidays” instead of “merry christmas”. It doesn’t seem to me that these laws are pandering towards atheists, but simply want create religious neutrality. To not “force” the jews in that school to celebrate another religion’s holiday. But this guess as to why that law was passed is of course based on personal experiences, like you said. I can’t speak for all atheists, especially not the ones on another continent. Over here, though, all the atheist I know celebrate Christmas, because that’s just what everybody does. The holiday doesn’t offend our beliefs, because we don’t have any. And hey, there’s presents. So basically the only things allowed were snowflakes and white lights, which caused about half of the school to not even bother trying. However, one homeroom decided to put a chair in the hallway with a big stuffed Santa and a sign over his face saying “CENSORED FOR BEING TOO OFFENSIVE”. Needless to say, the “powers at be” weren’t entirely happy with it, but it was certainly the favorite among students. As someone who falls somewhere in the between, I do notice that both groups have their extremists who want only one side’s views to be represented. However, one of the major issues is that at a certain point in time, the side with more supporters is considered to be the correct side. Now, this doesn’t mean that this is the correct side, in most cases there is no correct side, it’s just a opinionated decision. When there is a situation like this, then the “correct side” begins a crusade against the opposite side, which becomes extremely heated and rather unpleasant. The concern here falls upon those who are not in support of the popular idea, since they cannot voice their own opinions, unless they wish to risk both physical and mental health. Believe me, I’ve been in numerous situations where one side is the “superior” side and the other is simply “wrong.” But another problem that arises is how sensitive groups can be. You can’t say Merry Christmas anymore, doctors get sued over every little thing, and political correctness is now a touchy, touchy subject. Going back to the clothing issue, I was part of a debate over beauty pageants and how they sometimes call for a swimsuit section. (Don’t ask how it started.) In a hypothetical pageant being managed by a women, a swimsuit section is considered to empower the women. However, if the same pageant is being run by a man, then the same section instantly becomes demeaning to the women. In the debate, however, both the men and women were split about the subject. Does this subject stem from oversensitivity or is there an actual, legitimate issue being debated? Heck, is there even a right or wrong here? CKcheeseboy, that is an awesome story. I am glad the fan base here at 2P Start is mature enough that we can actually have a decent discussion on religion. Most of the time people are at each others throats by now and everyone has been offended. Good job for being awesome everyone. Wow, I’m impressed. I’m a (very) recent grave riser and I just wanted to say that I’ve never actually seen this level of maturity when it comes to discussing religion and/or double standards on the internet. And on a gaming-related website no less. I think may start coming to the comments section a little more often now. Indeed, I agree with Maugchief. This is like a rare point of solace among the mostly strife-filled, cuss-laden, bile-inducing, anger-spewing, driveling comments that exist in nearly every other comments section on the internet. And the amazing thing is this all occurred in the podcast comments section a few days after half of us railed on Ray for last week’s comic. I don’t want to be that guy, but I just wanted to say that I was looking forward to rising from my grave on the air, and then here came my comment and no name with it. I guess I am the Unknown Grave Riser or something. Just a note to be more careful with your grave risers from now on. We don’t want a field of nameless 2P Start zombies do we. Make a segment for modern music criticism? There is literally no sarcasm here. I don’t want this talk to just fade into a lost conversation. There is plenty of fodder from what crap pop music artists put out and you guys know exactly how to twist it to make me laugh in hysterics. 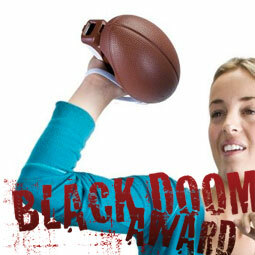 Or you could make a musical Black Doom Award equivalent! 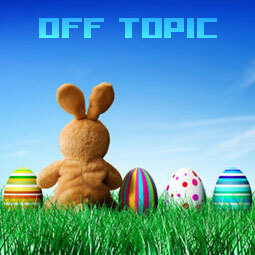 Actually, I think off-topic is serving this role already, to a degree. Almost everything in the segment has been about tearing something awful to pieces. And that’s why the segment is so awesome! (That, and the whole “it’s funny because it’s true” thing). Yeah, but I like the music conversation and off-topic will either become not about a random topic but just music, or I will not hear a weekly rant about music. It’s lose-lose as I see it unless it becomes distinct. I think the whole idea of “The Death of 2P Start” is kind of a non-issue. 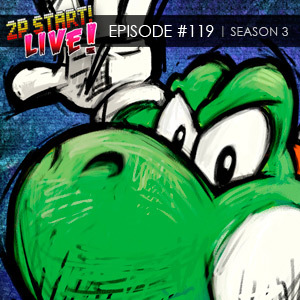 The reason that people keep coming back to the site isn’t because they love 2P Start, its because they identify with and enjoy Tim and Ray, and their creative projects. Wanting to move on to different projects when something gets stagnant isn’t sad, its progress. If you’re not enjoying making 2P Start, you shouldn’t do it. You’ll create better stuff when you’re pumped and passionate about it anyways (not to say you aren’t passionate about 2P Start, but…you get the idea). Listen, listen, listen: guys stop what your doing. 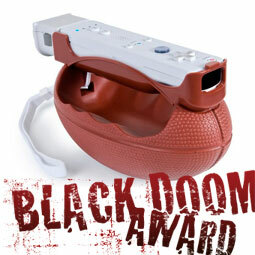 I’ve got the greatest idea for a wiimote peripheral ever: Klondike bar attachment. It’s legit; I talked to my mom about it. You see, the wiimote is plugged into the middle of the bar, and every time you put your mouth in front of the IR sensor, your Mii takes a bite out of the onscreen Klondike Bar. And, get this, you can trade Klondike Bars over the internet, provided you exchange a 12 digit friend code. Dude, I would so totally drop 600 Wii Points on that game. Then, each month a new flavor like Heath and Oreo comes out on DLC, but you can only eat those if you are connected to the internet. I’d drop 1100! I’ve just gotta have it! Best thing I’ve read in the last two months. The Comic, your friends, and everything else can wait. The Klondike Bar Attachment is at stake. I’m going to quote you on that, Tim. Very intuitive! I find it strange that people are getting in to religious philisophical debates over the internet. I agree with the above posts that they can turn ugly fast and become some what cyber bullying everyone should be able to voice their oppion though just as long as they are careful (especialy on the internet) to not offend anyone. Dont make fun of me for this but i just realised 2pstart live is not live at all. In regard to the religious discussion above, I don’t think you have anything to worry about. Everyone in that conversation (at least so far) has handled everything in a very mature manner. Sadly, it is true that it only takes one person to take that conversation to another level, but I don’t think that’s something to worry about here. We’re just voicing our opinions rather than trying to shoot each others’ opinions down, which happens all too often in the real world these days. As much I hold the many gimmicky accessories against the wii… the choices that get released sometimes… I mean… how can’t you laugh at it? Music these days…. do I really need to go more in dept about current culture? I thought this would be a good time to rise from my grave. I started reading the comic only a short time ago with comic #144. I followed the updates for several weeks and thought they were pretty good so I decided to go through the archives. Needless to say, I was impressed and you guys make a great comic. Last Thursday, I had a bit of free time and thought to myself, “Why not, I’ll go ahead and listen to the podcast”. I’m not really one to listen to podcasts, but it was very unique and entertaining. After only one listen, I was hooked. So I come back this week to listen to my second podcast and you’re discussing the end of the comic. Now I feel like I’m THAT guy. You know, the one who finally discovers what the cool people and doing and ruins it for everyone. Thanks for that. Grave rising is for people who have been with the site for a long time, but never commented, not fairly new people. Ahhh…gotcha. Then in that case I guess I’m just a newbie. Still learning the vernacular around here, so thanks for the correction. I loved the spider analogy, Ray. I will be sure to use it in the future. How about a Ray and Tim Parablecast next week? Great Show guys! Loved it! Also, great comic, I loved both “play dead” panels, the original and the new one. I loved the re-mix of the “tonight’s going to be a good night” song. I actually like it more than the original. Any way for us to hear the full version rather than just that small clip in the show? And once again, Great Comic and show! 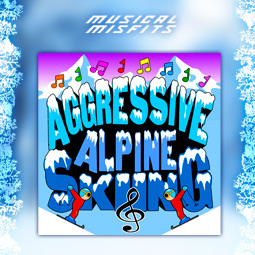 You know, I just found out that the game “aggresive alpine skiing” was featured before. I found out by turing on my iPod and listen to a random podcast. I knew it, the musical misfit was used before; good job blaster! I also tried to find where the song was played, but the legacy of 2P Start Live! was too much for me to comb through. I actually fail to see how the spider analogy works in your favour. How can a spider like that know anything about the nature of God when it’s so ignorant about everything around it? Yet isn’t that what you, as a Christian, believe in? That you know the nature of what created the universe? I’m just asking. From my experience, it’s the scientifically-minded who are always more aware of how awesome and immense the universe is and how little we know about it, whilst the religious always claim to know everything, because, you know, “God did it”. Anyhow, I’ll end this post by saying that you guys actually have at least 1 Belgian fan (probably should’ve mentioned this in my grave rise post). Keep up the good work, and I guess I could live with Tim’s takes if Ray decides he wants to take some time off. I’m not going to bring up anything else about the book, other than that I totally agree with the title, but I just thought that was something interesting. -The universe has been proven to have a beginning. How does space, matter, and time arise by anything outside of space, matter, and time (i.e. God)? -The documents of the Bible have been proven to be historically accurate and the writers had nothing to gain by lying, they in fact, had everything to lose. And those who saw Jesus after his death could not all have been having the exact same hallucination. That’s everything in a nutshell. A small nutshell. But yeah. -The universe had a beginning. There was a point when there was no space, matter, or time. Therefore whatever created space, matter, and time, must have been outside of it. 3. Keep in mind that there is also a lot of documentation for other religions. Are all regions true, then? If not, that must mean that those religions’ documentation is somehow wrong, right? Why would your religion be immune to that? I’ll admit, that’s something I hadn’t really considered. But it’s something I hadn’t really considered because I have no reason to distrust the Bible. So if the Bible is true, any religion that contradicts in must be false. But before I say anything else, you also have to realize that Jesus was a historical figure, he existed. The only question is: Was He who He said He was and were His actions properly documented? Obviously, I think the answer is yes. Okay, well I’ve kinda side-stepped your question, but what is basically comes down to is time. There is a 25 year gap between the original New Testament documents and their first surviving copies. There is between a 500 to 1,400 year gap for other ancient documents like Homer’s and Plato’s. There are also 5,686 manuscript copies of the New Testament, 643 of Homer’s works and 7 for Plato’s. Basically the New Testament would’ve sounded much different if they were lying. They would have left out embarrassing details and would have made the miracles sound more exciting. So then they believed what they saw. But were they right about what they saw? Well that would basically ask me to summarize a full chapter of the previously mentioned book. However, what I will say is that Jesus appeared to individuals or groups of people 12 times after his “death”. That many people cannot have the exact same hallucination. And 12 of them were so sure their hallucination was true that they were willing to be martyred? I can’t believe that. I’d like to say thanks. Your podcasts have gotten me through hours of working on my computers “paint” program and are curently getting me through writing my ebay list of all my 613 old childhood yu-gi-oh cards. So thanks Tim and Ray thanks. BOSS BATTLE MUSIC! How did you manage to do my request before you even sent it? Mind you only the intro. I cant for the life of me figure out if the intro and new following is used in a different game. 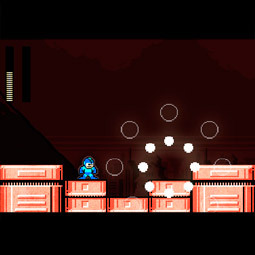 New chalange use the whole Link to the Past boss battle music. I guess its kinda my misfit suggestion! what does it mean to rise from your grave?